PLUS Mechanical, Inc. is a full service heating, ventilation, and air conditioning company. Since 2002, PLUS Mechanical, Inc. has been servicing, installing, and maintaining both residential and commercial customers throughout all of Illinois, NW Indiana, and the surrounding areas. We provide a wide variety of services that range from small repairs to large commercial contracts. We hold an A+ rating with The Better Business Bureau. Our certified technicians take pride in their work, and all work is guaranteed, as we stand behind the quality of service our company provides. 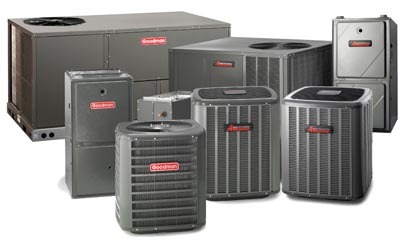 Some of our services include but are not limited to: complete heating and air conditioning installations, equipment replacements, complete indoor air quality services, duct cleanings, humidifier and air cleaner installations, hot water heaters, programmable and non programmable thermostats, and all phases of maintenance and repair. PLUS Mechanical, Inc. is also a full service sheet metal shop, providing our customers with custom duct work fabrication. With PLUS Mechanical, you will never speak to an answering machine or answering service. Our office staff always answers the phone in a professional and courteous manner. We have established a reputation for providing the best service possible in the following areas: repairs, maintenance, and installations. We also offer all types of preventative maintenance contracts on heating and air conditioning systems. The PLUS Mechanical technicians attend seminars on a regular basis to maintain their certifications and to stay current with industry standards and advances. Our educated technicians will ensure that our customers fully understand all components of the services provided.